Tar at Kilmaneen Farmhouse in May 2012. The rivers Suir and Tar provide the natural boundaries around our farm at Kilmaneen making it an ideal location for your fishing holiday to Ireland. We offer our guests approximately 1km of private fishing on the Suir and 0.5km on the Tar. These rivers provide good fly fishing for wild brown trout fishing and salmon fishing. The Suir is renowned as a dry-fly fishery. See below for more details on this river. The Tar and it's tributaries, the Duag and the Shanbally hold good stocks of trout up to 1.5kg and better. The peak of the trout fishing is from early May to mid-June for day-long fishing, at dusk for the rest of the summer and during the day and evening in September. At these times, there is usually no shortage of feeding trout. The best of the salmon fishing on the River Suir is said to extend downstream from Ardfinnan towards Carrick-on-Suir. The river still produces occasional spring salmon and is thought to get a fair run of grilse. In some seasons, when conditions are right, it gets a good run of 12 18 lb salmon. The Suir has the distinction of producing Irelands record rod-caught salmon. It weighed 57 lb and was taken on a fly by Michael Maher in 1874. Body waders and a wading staff are practically essential for an angler when fishing the main channel of the Suir. In most areas, the bottom is firm and consists of stone, gravel or sand. This is a big river with a strong current and anglers should take due care when wading. Equipment and a gillie service can be hired locally by prior arrangement. We regret that we cannot supply fishing equipment as it is too difficult to maintain but we have basic fishing rods for sale for 20 euro. We have a house for storing tackle and for drying waders. We can freeze your catch or arrange to have it smoked but if you would like to eat your fish we can cook them for you too. The River Suir (pronounce sure) rises in the Devils Bit Mountain in Co Tipperary and flows south and then north and east to join the Barrow and the Nore in Waterford Harbour. It is 115 miles long and together with its tributaries it drains a total catchement of 1,394 square miles. The main river lies entirely on limestone except for a few miles at the source and all the tributaries are on limestone, with the exception of the Nire, the Clodiagh and the upper reaches of the Multeen, which comes in from the west near Cashel. The flow in the main river is characterized by deep and shallow glides interrupted by shallow riffles. Its width increases as it proceeds downstream and the sequence of relatively shallow glide and riffle is maintained. This combination of a rich limestone base and huge areas of relatively shallow glides makes the Suir ideal for the production of brown trout. There is massive recruitment of young trout from the extensive system of tributaries and the trout survive and grow in what is a near-perfect environment. They have few predators in the form of pike, and coarse fish are almost entirely absent. The Suir is one of Irelands premier brown trout fisheries. Only a handful of rivers can compare with it in terms of numbers of trout produced per square yard and I doubt if any river can equal it in terms of the overall numbers of trout that it produces and that are available to the angler. The average size of the trout ranges from to 2 lb in different areas, depending on the habitat. Their lifespan is relatively short and few trout exceed 4 years of age. The relative uniformity of the nature of the river-bed type means that the dominant fly hatches are more or less similar over the entire length of the river, with the exception of the mayfly, which is found only between Camus Bridge and Golden, and stoneflies, which are confined to fast shallow sections. Otherwise, from March to late April, there are large dark olives around midday. From late April to mid-May, there are medium olives, iron blues and stoneflies early brown. From mid-May to mid-June, there are alders, medium olives, reed smuts and midges, mayfly, pale wateries, blue-winged olives, caenis, hawthorn, black gnat, yellow stoneflies and various sedges, including murroughs and grey flags. From mid-June to the end of July sees bule-winged olives, pale wateries and pale evening duns, small dark olives, a variety of sedges (including murrough, cinnamon sedge, red sedge and silverhorns) and ants on occasions. August has similar hatches. The blue-winged olive is very important in the evening, as are various sedges, and trout take small black and green midges by day. In September the trout take blue-winged olives during the day and on mild evenings. Midges, olives and small sedges and the cinnamon sedge are also important. 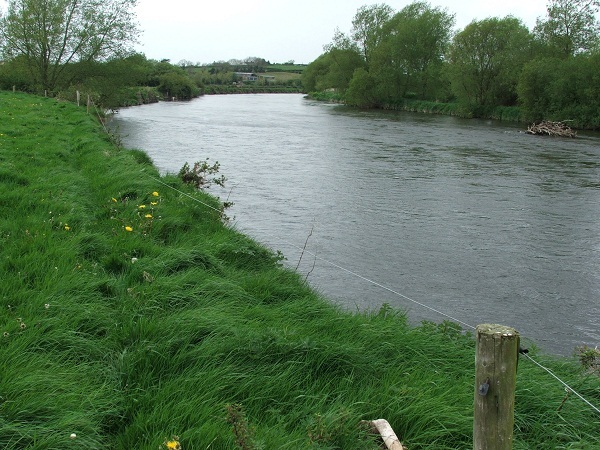 For variety, permit are available for fishing the Ardfinnan Club Waters which give access to a further 15km of riverbank on the Suir. Permits can be arranged through us or from John Maher at 052 7466242. Trout fishing permits cost 15 per day or 75 per week. There are many other rivers in the area which have excellent fishing also. 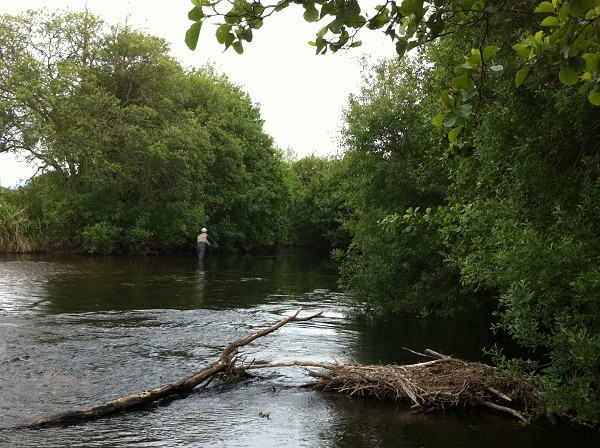 The River Blackwater is famous for salmon fishing and permits can be bought locally. It is a noted salmon fishing river offering Spring, Summer and Autumn fishing. This is a big fast-flowing river catering for all methods of fishing but particularly suited to fly fishing. The River Nire (16mls/26km long) is a fast-flowing mountain river which flows through farmland and a scenic wooded valley. It has good stocks of Wild Brown trout.